We wanted to take a moment and thank you for all you have done this past year. It’s been amazing and because of you, amazing things have happened up on Lookout Mountain. 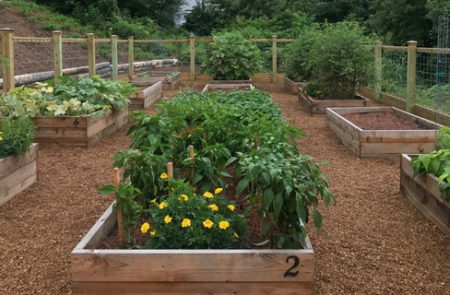 Thanks to you, and the amazing and talented design and construction assistance of Graham Vannoy Construction and Anderson Landscape, a new teaching garden is now in place. Students from The Howard School will now be able to learn how to grow, harvest and cook/eat fresh vegetables. It’s part of our work of connecting people to healthy lands and healthy living as well as taking another step to help reduce hunger. This past year has been one of discovery—both in the Conservancy’s Leadership Intern’s self-discovery, and of the amazing things that lie buried under massive amounts of invasive vines (kudzu). 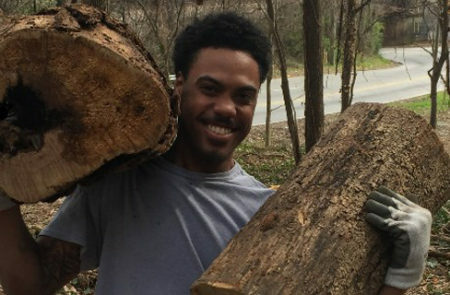 Now, thanks to thousands of hours of hard work by community volunteers, organizations, businesses, and the Conservancy’s Leadership Interns, five boulders have been uncovered and are ready for climbing, and viewing, from the trails at John Wilson Park. 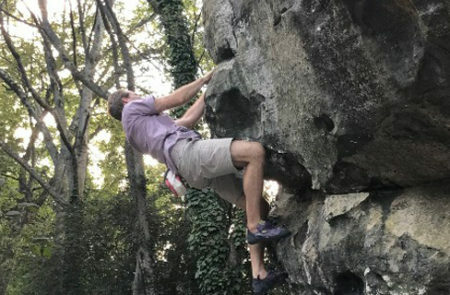 It’s a great partnership between so many people, but I need to give a shout-out to The Access Fund who oversaw the design of the landing zones for the boulders to make sure they were up to national climbing safety standards. For the seniors in our Leadership Program, graduating from high school was extra sweet. Many beat the odds, becoming the first in their family to graduate from high school, go on to college, or initiate training in a technical field. Their high school has a graduation rate of 63% with a college graduation rate of 1%. You are helping these young men and women avoid a cycle of despair and reach their full potential. With bi-weekly sessions on the mountain, and experiences that help open their eyes to possibilities like the Job Shadow Day, the current Interns are working hard to graduate…with flying colors. We literally couldn’t do this without you. 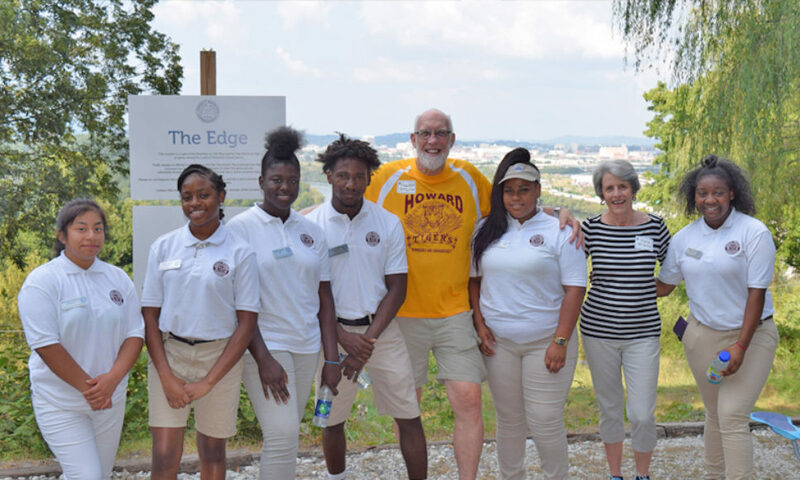 In addition to working to create, and maintain, miles of trails on Lookout Mountain, the Leadership Interns, along with other youth and community volunteers, initiated the creation of a pollinator garden to help wildlife thrive up on the Mountain. The Lookout Mountain Garden Club will be assisting in the design—we’ll need to raise the funds to complete the implementation. 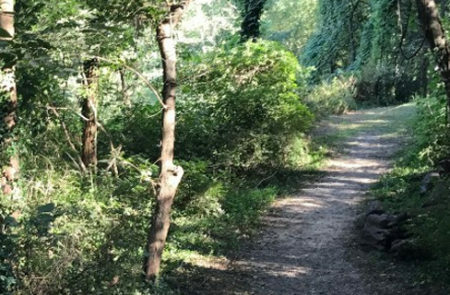 The trails up on the Mountain, only minutes from down-town Chattanooga, provide a place for people from all walks of life to get outside and enjoy nature. And that’s true for the rivers and parks around Chattanooga too. You might be surprised at how these places provide a new experience for many who have lived here their whole lives. 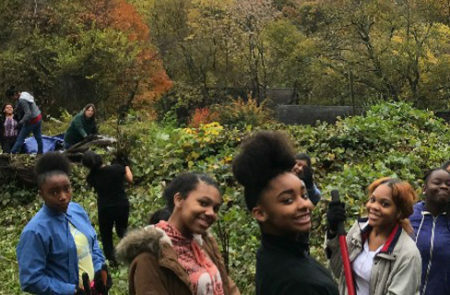 Research has documented that it’s not enough to provide a trail or a vista, you need to provide programs and break down barriers to ensure kids, families and friends use, and value, these beautiful places. You’re helping make that possible whether it’s fly-fishing lessons for the Interns, field trips to area waterfalls and rivers, family programs on the Mountain, or community gatherings outside. Together, we are making nature, the trails, and getting outside something that is welcoming and enjoyable for people from all walks of life. So, thank you. Thank you for changing lives, every day, right here in Chattanooga and Lookout Mountain. We mean it when we say that every day we're grateful for your support and commitment to these kids and the Mountain that is a beacon of hope.